When Apple launched the long-awaited update to industry-leading video editing software Final Cut Pro, many people couldn’t wait to jump onto the Mac App Store to download a copy. 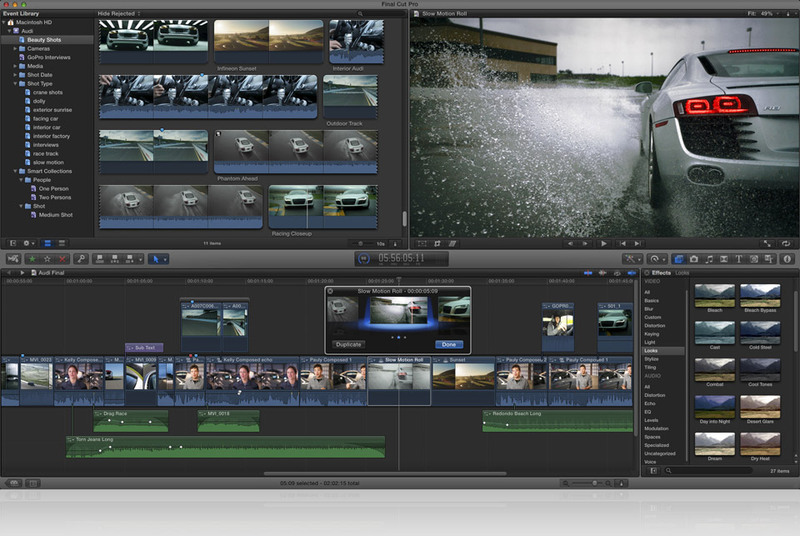 As customers began using the software, it quickly became apparent that the new version of Final Cut Pro X wasn’t meeting user expectations; support for older file types was no longer available, functions became difficult to find and audio markers no longer work “the way they used to”. This led to many customers leaving 1-star ratings and lengthy negative reviews on the Mac App Store – it even got blasted by Conan O’Brien. It seems Apple has been reading the reviews and is in partial agreement with some customers as it has begun issuing refunds to those who have filed an official request using Apple’s Mac App Store Customer Service form. You would think that it was normal for Apple to refund purchases but the company’s terms and conditions states that ‘all sales are final’. However, if an application does not meet the expectations of a user, Apple has been known to refund purchases, as it has done for iPhone/iPad downloads on the App Store. Please accept my apologies for the delay in responding your email, as we have been receiving higher volumes than usual. This is certainly not the customary time for a response and your understanding is greatly appreciated. I’m sorry to hear that the apps “Compressor” and “Final Cut Pro” you purchased on the Mac App Store is not functioning as expected. I know how special your purchases are and I regret for the inconvenience caused. I will try my best to resolve this issue. If you have any questions, concerns, or need any additional assistance with this matter, please do not hesitate to reply to this email. Thank you for being an iTunes Store customer. Apple appreciates your business. Good news for many. Others haven’t received a response as promptly as they wished, so have taken to the Apple Support Forums to ask how to get a full refund, like other users. Successful claimants have reported that stating the app doesn’t function as expected is the best way to receive a refund. Apple will be working hard behind the scenes to lessen the damage moving forward – the fact that Final Cut Pro is distributed via the Mac App Store allows the company to issue fixes and major updates to appease its customers.